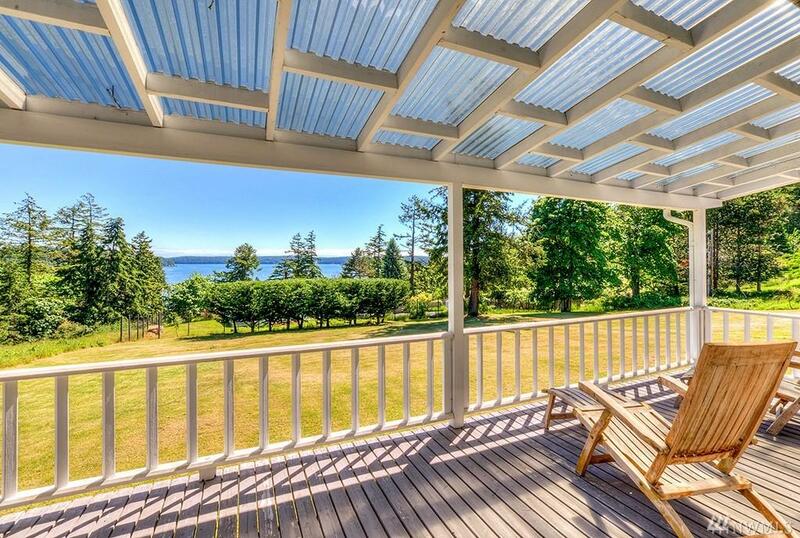 West Sound waterview home w/barn on 10+ pastoral acres on 2 lots. 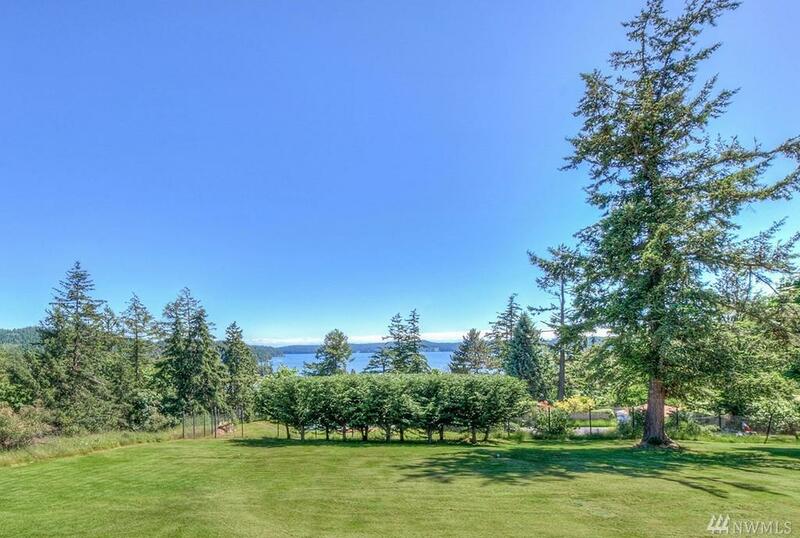 Coveted views of West Sound & Crow Valley. Beautiful interior renovation of 2400+/- sq.ft. 3 bed, 3 ba. home w/superb kitchen, main-floor master bed. 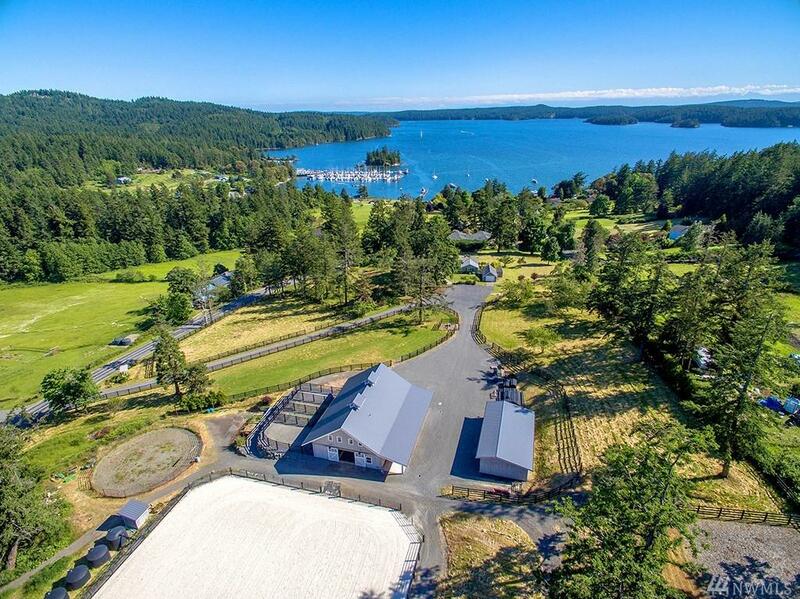 7 stall barn w/Lucas equine stall packages, tackroom w/washer/dryer, kitchen, slate floor, radiant-heat, 1/2 bath. 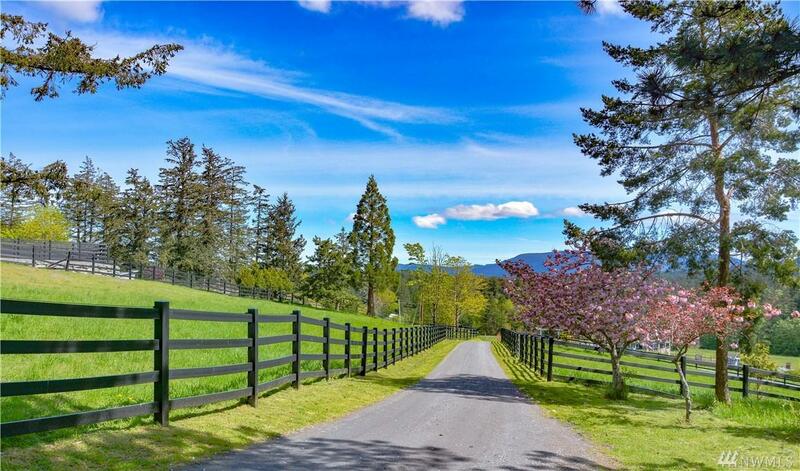 Riding arena, covered shed row, 4-bay storage build., pastures, HDPE fencing, water membership plus well, extensive H20 storage & rain-catch. system. Near riding trails.